THE SCOTTISH GRAND NATIONAL is the final of the UK Nationals and held each year in the middle of April. Staged at Ayr racecourse the contest is run over a trip of 4 miles and it’s interesting that 10 of the last 13 winners carried 10-9 or less in weight. The only horse to win both the Scottish National and Aintree National in the same season was the mighty Red Rum, but Little Polveir and Earth Summit are more recent winners of both races, albeit not in the same year. We’ve seen the Trevor Hemmings-trained Vicente land the race for the last two years, but we’ll have to wait to see what happens in the Aintree Grand National – run just a week earlier – if he’s going to take his chance here again. We give you all the stats ahead of the 2018 renewal – this year run on Saturday, April 21st. However, the Grand National bandwagon continues this weekend as we get set for the final one on the jumps horse racing calendar – the Coral-sponsored SCOTTISH GRAND NATIONAL. Yes, we all know the main National is the one we had last week at Aintree but the Scottish version is up there as a close second with the Irish and Welsh renewals so it’s still a fascinating race. For example…………………Did you know that ALL of the last 15 winners ran within the last 57 days, while 13 of the last 15 winners were aged 8 or older? So, to help we’ve got the main ‘plus and minus’ 15 year trends to apply to the Scottish Grand National runners – by just following these simple rules you’ll at least have the make-up of past Scottish Grand National winners on your side when placing your bets. Weight Watchers: The main cut-off point here is 10st9lbs. We’ve seen 11 0f the last 15 winners carry 10-9 or less in weight. However, it is worth noting that 3 of the last 5 winners carried 11-3 or more, while last year’s hero – Vicente – won with 11-10 so has shown it’s possible to lump a fair bit of weight around to victory. Staying Power: Stamina is an absolute must-have when scanning down the entries – after all the race is over 4m! This is backed-up with 10 of the last 15 winners having won previously over 3m1f or further, while 5 of the last 15 had won over 3m7f or longer in their careers. Recent Form: Coming into the race off the back of a fairly recent run, plus a decent finish last time out is another thing to look for. In the last 15 years a massive 13 of the last 15 winners finished in the top 6 in their most recent race, while 4 of the last 15 won last time out. Age Concern: Experience is often seen as a big plus in any staying race but it’s not so key here. Yes, you really need to be 8 or older as we’ve seen 13 of the last 15 winners aged between 8 and 11 years old. We have, however, seen a few 7 year-olds take the race more recently (2013 and 2016) so you can’t totally rule out this age group but with just one 12 year-old (or older) winning since 1947 then really we can put a line through any of the older statemen in the race. Who’s Your Favourite: The betting on the Scottish Grand National is always a competitive race and this year is expected to be no different. However, with just 1 winning favourite in the last 15 runnings then it’s not always been a kind race for punters that like to support the market leaders. Market Toppers: We’ve already talked about the actual favourite, but this Scottish Grand National stat can be taken a bit further when you actually drill down into recent runnings. So, despite not many market leaders winning we’ve still seen 10 of the last 15 winners hail from the top 7 in the market, while 3 of the last 15 winners actually returned 15/2. We have had 11 of the last 15 winners return a double-figure price though (73%) but if this is linked into the fact most have come from the top 7 horses in the market then really the price range to focus on is more like 10/1 to 16/1. Fitness First: Probably the biggest trend in recent years, and a really easy way to whittle the 30 strong field down in one easy swoop, is just check how many days ago your fancy last ran. With ALL of the last 15 winners having raced in the last 57 days then we can quickly rule several out here. Yes, it’s always wise to give this stat a 2 or 3 day leeway for obvious reasons but we should still be able to knock out a fair few. TQ VERDICT: With the winner of the last two Scottish Nationals – VICENTE (e/w) – heading to post again then all eyes will be on this Paul Nicholls-trained 9 year-old as he bids to land an historic treble in the race. The last horse to do so was Couvrefeu II back on 1913 but despite rated 4lbs higher this time it would be a brave man (or woman) to go against Vicente. Yes, he’s rated 4lbs higher but in terms of actual weight to carry he’s actually got 3lbs less than last year – providing the top-weight – Gold Present – remains in the race. He was pulled out of the Grand National last week despite being fairly well-fancied but that was only down the soft ground at Aintree. The drying conditions this week have played into his hands as he’s a horse that goes well on quicker ground – something he’ll get here. So, yes, he’s an obvious call but being a proven performer in this race and still at 9 years-old then he’s certainly one I’ll be having in my portfolio despite the trends saying he’s got too much weight. He’s a horse that in the last two runnings – with his weight and age – has defied the trends so I’m not too concerned on that score. Several Of Last Years Runners Also Go Again – Yes, not only have we got the winner of the last two runnings in the race but we’ve also got the second, third and fourth – Cogry, Benbens and Alvarado, plus the 7th Vintage Clouds and 9th Henri Pari Morgan as possible runners. All five are respected, with possible Vintage Clouds the most interesting. This Sue Smith-trained 8 year-old is also owned by Trevor Hemmings (who has Vicente too) and was unlucky not to have been involved in the Aintree Grand National last week. He was 4th reserve for that and with some late non-runner would have got into the race had there not been the cut-off point on Friday. Ok, he’s also rated 141, and that’s 7lbs higher than last year when 7th and beaten 14 lengths. However, he was only 7 years-old then and also seems to have improved since. He was a decent third at Cheltenham last time out in the Ultima Handicap, plus was fourth in the Welsh National back in December when not getting the best of runs. He stays this trip and the ground will be fine, plus from 12 career chase starts he’s finished in the top three 8 times. I certainly wouldn’t put you off him and I did fancy him to run well in the National last week but with just 1 win over fences then of the two Hemmings horses the current champ Vicente just edges it. 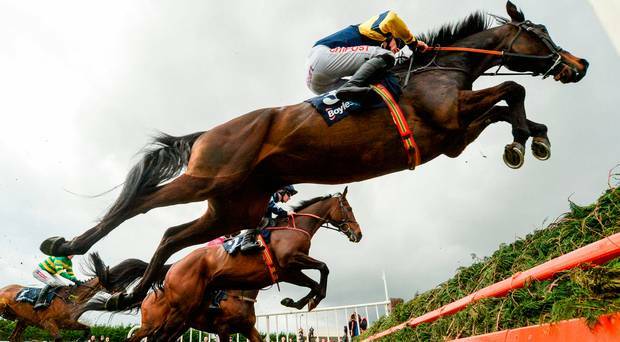 At this stage Mr Grand National this season – Gordon Elliott – has Fagan and Folsom Blue entered but it remains to be seen if he’ll send them over to try and add to the Irish and English Nationals he’s already won this term. If they do come over then it goes without saying they are not coming over for a day trip! The Pipe-trained Daklondike has been well fancied for this race in the build-up and looks a really promising stayer. He’s won three of his last four but returning from a 112 day break is not ideal – don’t forget all of the last 15 winners ran in the last 57 days. While at just 6 years-old it would be a huge ask for such a young horse. The already-mentioned Henri Pari Morgan, who was 7th last year, heads here off the back of a good win at Ffos Las but he’s up 6lbs for that and is also rated 4lbs higher than 12 months ago. He’d also probably want a tad more give underfoot. Regal Flow has won his last two in decent fashion and for a 11 year-old is defy his advancing years. He slammed Milansbar by 10 lengths last time and with that horse franking the form by running well in the Aintree National last weekend then he can’t be discounted. The negatives are though the handicapper’s raised him 10lbs for that win so at the grand old age of 11 he’ll need to put in a career-best performance here. Doing Fine is another that’s been popular with punters in the build-up. This Neill Mulholland-trained 10 year-old gets in with just 10-6 in weight and is generally a consistent sort. He’s not finished out of the top 5 in his last 9 races and runs as if he’s worth a crack over this 4m trip. He travels well in his races and the quicker ground is certainly a big plus. I expect a good run from him but with just one win from his last 17 then he’s a horse that does tend to find a few too good – he’s probably one for the placepot or each-way players. Of those at bigger prices the likes of Fine Rightly, Indy Five, Joe Farrell, Dawson City and Glencairn View all fit a lot of the key trends so if the prices allow might be worth having a small interest in. However, as well as Vicente, the other main selection is going to be THE YOUNG MASTER (e/w). I still think there is another big handicap in this Neil Mulholland-trained 9 year-old, who we last saw running 6th in the Kim Muir at the Cheltenham Festival. He was 18 lengths back that day but was staying on at the finish so this extra 6 furlongs will certainly suit. He’s also down 3lbs for that and Sam Waley-Cohen is able to claim another 3lbs in this race (he wasn’t allowed to last time). That means he’s 6lbs lower here and gets in with just 10-3 to carry – a featherweight! That was also his first run back after a wind op so we can also expect him to improve for that outing as he gets used to racing after that surgery. Don’t forget, he won the Bet365 Gold Cup in 2016 off a mark of 150 – so he’s 21lbs lower here! Sam Waley-Cohen has ridden him many times – including in that 2016 Sandown win – while having raced 36 days ago, being aged 9 and with just 10-3 in weight then he’s a horse that ticks a lot more trends than most.